Thank you to Vail retail stores for the mountain bike rentals and Vail Mountain staff for your service and support. 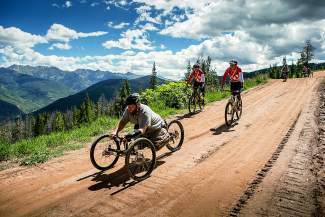 Your contribution to the Vail Veterans Program this summer created memorable experiences to share with our nation's injured service members and their families. Together, our Vail community helped foster mountains of healing!